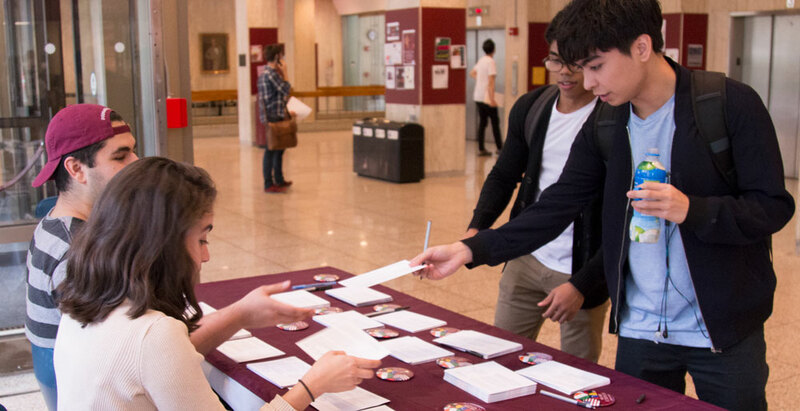 From now through Oct. 27, students, faculty, administrators, and other members of Fordham’s Rose Hill, Lincoln Center, and Westchester communities are invited to fill out the postcards addressed to their respective leadership in Congress in support of the DREAM Act. The DREAM Act legislation would grant legal status to immigrants who were brought to the country as children, and protect individuals who benefited from Deferred Action for Childhood Arrivals (DACA) program. DACA, which was established in 2012 by the Obama administration, allowed young immigrants who entered the country as minors to attend school and work in the country without fear of deportation. This past month, it was repealed by the Trump administration. Massiah-Arthur said the University would maintain a vigorous and targeted advocacy campaign for two weeks, concluding the week before the mid-term elections in November. Besides the poster campaign, the University will employ internet-based letter writing campaigns, advertisements and pod casts on WFUV-FM, Fordham’s listener-supporter radio, and phone-banking. The campaign is supported by several student groups as well. Students participate in a collaborative effort on campus to collect signed postcards in support of the DREAM Act, to send to U.S. congressmen in Washington D.C.
Fordham’s postcard campaign is part of a collaborative effort sponsored by the Office of Government Relations and Urban Affairs, Dorothy Day Center for Service and Justice, United Student Government – Lincoln Center, United Student Government – Rose Hill, Campus Ministry, and the Office of International Initiatives. Since 1841, Fordham University has embodied the immigrant experience. It was built by immigrants, and it provided countless new Americans with the opportunity to earn an education. Fordham honors the nation’s immigrant heritage, and I hope you do as well. The postcard campaign comes a month after Joseph M. McShane, S.J., Fordham University president, condemned the rescission of DACA, urging Fordham Rams to “do whatever you can to help our immigrant brothers and sisters in their time of need.” In an interview with America Magazine in September, he emphasized the importance of turning anger into action.